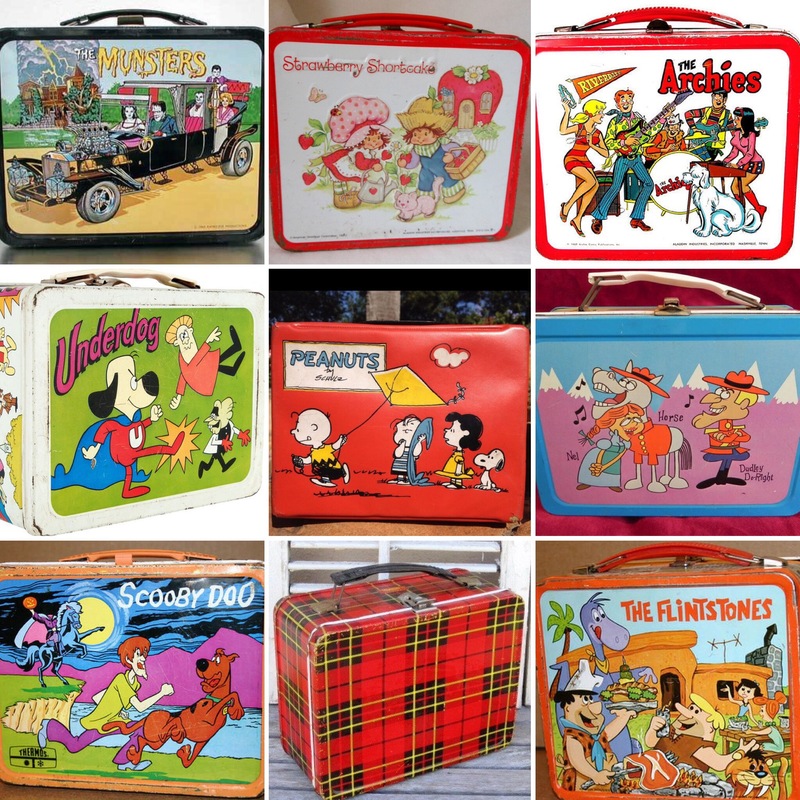 Vintage Lunchboxes for those of us who are Old-School ! The lunchbox I carried is the center square – Peanuts! Three magical little words everyone loves to hear…Back to School. By the end of summer, all the games are played out, the activities exhausted, vacation no longer feels like vacation, and kids (and parents) are gettin’ antsy. It’s a Catch 22 kind of time. It’s not that it hasn’t been great fun to have them home…it’s wonderful and eagerly anticipated. It’s just that by summer’s end we are ready to renew, recharge, and regroup. Order in the house! Back to the old routine synonymous with the school year. Every school years end, once the final school bell rang, schedules went right out the window for our family. Summers at our house were lazy daisy. Finally! Free time for art, hobbies, books, activities, road trips, and lots of of R and R.
Oh what do you do in the summertime? Well as the temps soared, we did late night runs to Sonic, stayed up all hours watching movies, or just hung out together doing nothing at all. The pressure was off for nearly three precious months. Then, as September loomed large in the distance, not only back to school–more like back to reality! And, just like that, you’re back in the School Zone. Sadly, there’s no reality more harsh than realizing that your life season has changed as well. As much as you complained, there will be no more shopping for school clothes. No more scouring the stores for school supplies-poring over insanely detailed lists-(in my case times four). Gone-the anticipation of heading over to the school the minute class lists are posted to search out my kids names, and then names of friends and neighbors. Book covers, labels, and memorizing combination locks-all history. No more stomach-lurching anxiety the morning of the first day of school. Drop-offs and secret sad tears…(yup-mine…camouflaged behind dark sunglasses). Then the long lonely hours till afternoon pick-up, and stories shared of first-day-back adventures. A small glimpse into what would become their world for an entire school year. What a privilege-but all in the past now. Years of navigation-in more ways than one. I spent years chauffeuring kids to school. Sometimes four different schools. Sometimes four different times. And sometimes carpool with additional kids. Time spent navigating different schools and teachers. Lobbying for longer/more recesses for busy minds and bodies. Years volunteering in one capacity or another. Years of showing up. Years of waiting. (In typical Kim-fashion, I kept a book in the car at the ready, and turned downtime into some ME time.) Every day I was blessed and glad to greet them and hear about their ups and downs. I am out of the School Zone, and it all happened in a blink. Turns out, while they were in school, I was busy getting an education! I learned so much. My best lessons have been as a mother. Sometimes I was a teacher, counselor, or cheerleader; and other-times I was the one who needed a coach. Luckily, no one grades you, (openly anyway), and you don’t ever graduate from being a mom. It’s kind of like tenure. By default it’s assumed that by now I have attained a certain level of knowledge. And boy, have I! Quite a noteworthy education in fact. Some things you just can’t learn from books. What they don’t tell you is, that you can cram all you want…but as far as parenthood goes? You’re never gonna be done gettin’ schooled.